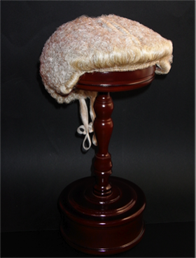 'LegalAttire' is the only Australian business specializing solely in Barrister and Judicial wigs. 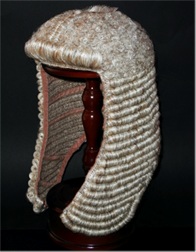 We carry a comprehensive range of legal wigs in all standard sizes and each is hand made from the finest horsehair and carefully detailed using traditional craftsman techniques. 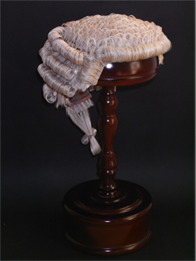 Our commitment to high quality and competitive pricing ensures excellent value for money for legal professionals and Government agencies. We understand it is preferable to examine a wig before purchasing, so as part of our service we offer a commitment-free exchange on all wigs so purchasers are fully satisfied with their selection. Purchasing is simple on-line via PayPal (Visa Card, MasterCard) or direct bank deposit. We send our wigs across the world - distance is no problem. We will work in with your delivery requirements and guarantee a fast response to orders.